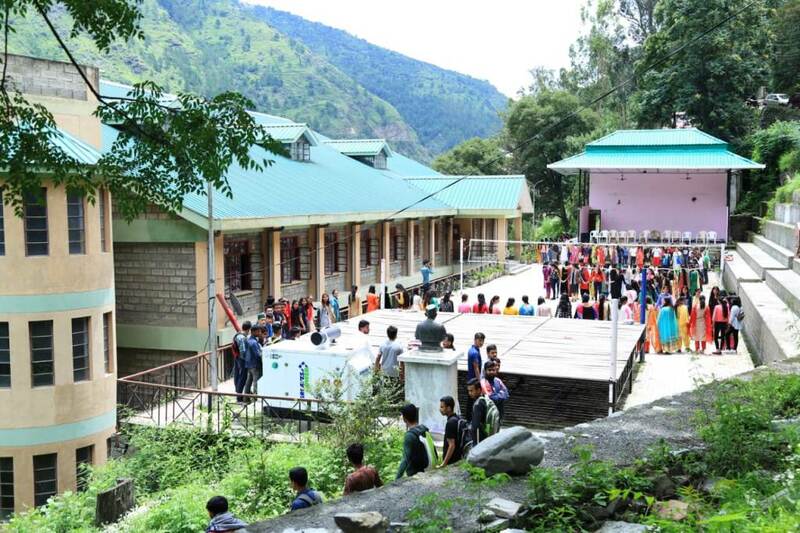 This college was established in July 1986 in a tough hilly terrain of Himachal Pradesh to cater to the higher educational needs of the people of this area. This college was opened with the aim of providing education to the students at their doorstep, enabling them to acquire Higher Education with professional skills and confidence to face the world. This institutional vision is derived from the motto – “Stayam Param Dhimahi” which literally means Truth is supreme. The institution aims at providing a distinct environment of excellence in education and inculcating in them human values like truthfulness, honesty, hard work, character building, capacity building and social commitment . Thus the institution aims at enhancing the skills and holistic development of the personality of the students. To provide quality higher education to the students residing at this tough hilly terrain and to make them fit for global society. To provide a fair chance to both the genders, poor and socially disadvantaged to attain knowledge. To enable students to acquire various professional skills in order to increase the chances of their employability. To focus on the development of personality of students through curricular and extracurricular activities. To sensitize the students towards various social concerns, human rights, gender issues and environmental issues. To provide equal opportunities for both genders. To educate students of all sections of society. To provide quality higher education to students of this rural area at their doorstep. To transform the students into responsible citizens by ensuring the holistic development of the personality of the students. To develop the habit of personal cleanliness and cleanliness of surroundings. To inculcate basic virtues like sincerity, compassion, humility, co-operation , fair –play, self-reliance and truthfulness. This vision, mission and objectives of the institution are communicated mainly through Students Advisory Committee to College Students Central Association (CSCA). Regular meetings of the advisory committee are held to discuss various issues related to the objectives of the institution. The decisions thus taken are communicated to the students through notices on the Notice Board, classroom announcements, meetings with office bearers and members of CSCA. The vision and mission of the institution are communicated to the students through prospectus, college magazine, and address note of the Principal to the freshers and during orientation programmes for the new comers.